Day 1: Arrival Addis Ababa transfer to the hotel and afternoon city tour in Addis Ababa. O/ n hotel. Day 2: Fly to Gondar. Transfer to Debark, some 100kms north of Gondar town, after processing your entrance permission for the park; proceeds to park (Sankaber). O/ n camping at Sankaber/ lodge. Day 3: Start trekking after early breakfast. It is about 4 hours walking within Sankaber (3200 m.a.s.l), where we camp for the night. It is largely uphill walking via Zengwa. O/ n camping Sankaber/ lodge. Day 4: Trekking through a landscape of pasture and thin forest to Geech (3,600m a.s.l) for about 5 hours. 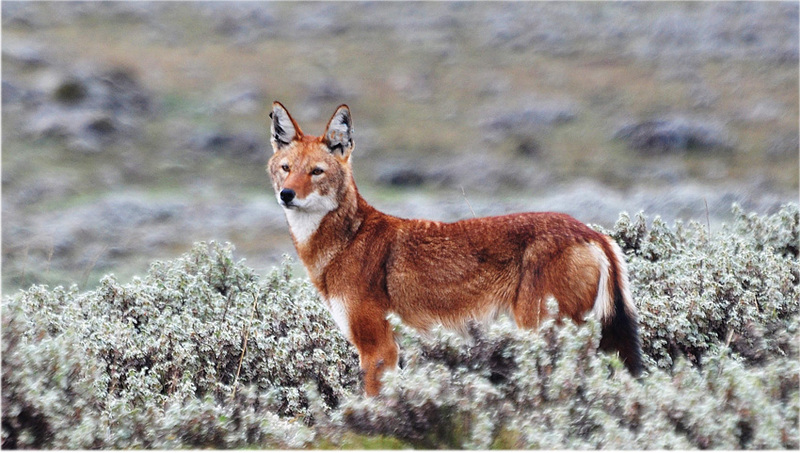 En route we will see Jumper fall and you will have lunch on the view point, some animals which are endemic to Ethiopia. O/ n camping at Geech. 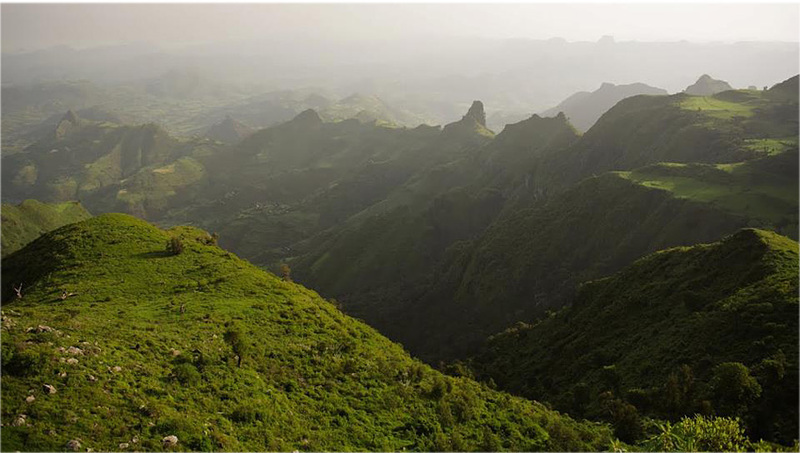 Day 5: The morning walk takes us to Immetgog peak (3900 m.a.s.l) where we have so splendor scenery of the rocky massifs and deep gorges of the Simien Mountains. The afternoon is at rest. O/ n camping at Geech. Day 6: We trek from Geech to Cheneck (about 7 hours) Via Amba Ras with a lovely view to the Gorge of Anbergina. O/ n camping at Cheneck. Day 7: A day trekking from our camp in cheneck to the summit of Buhahit Ras (4,430 m.a.s.l) We spend the day exploring the escarpment of Amara Shema with the best chance of seeing the rare and endangered Walia Ibex, a species which endemic to Ethiopia and only are in the Simien Mountains National park.O/ n camping at Cheneck. Day 8: Walking back to Sankaber (about 6-7 hours) where we meet our vehicle for tomorrow’s drive to Gondar. O/ n camping at Sankaber. Day 9: Driving to Gondar, which was once the capital of Ethiopia and in the afternoon we visit the castles, which were built in the 17th century by several generations of Ethiopia’s kings. O/ n hotel. Day 10: Fly to Addis Ababa and shopping and then transfer to Airport for your Departure. Day 1: Arrival Addis Ababa; transfer to hotel and half day city tour. O/ n hotel. Day 2: Fly to Gondar and transfer to Debark where the starting point of trekking. After we make all the necessary arrangements, trek to Sankaber. O/ n camping at Sankaber. Day 3: Walk along the spectacular escarpments with outstanding views to the lowlands below. Then you will trace to Geech and the total walking hours would be 9-10:00 hours. O/ n camping at Geech. Day 4: A half day walks to Immetgogo (3900m) where we will have lovely views of the mountain ranges and gorges. Then, we walk back to our camp site for lunch, and the afternoon will be free. O/ n camping at Geech. Day 5: From Geech we trek to Cheneck (3600 m a.s.l) via Amba Ras. Today, we may walk for about 7:00 hours. O/ n camping at Cheneck. Day 6: We make our way from cheneck to Ambiko with a lot of ascents and descents. It is much a long day (10 hours) trek with the optional walk to the summit of Buhahit Ras (4430 m.a.s.l), there is a good chance of seeing the endemic Walia Ibex. O/ n camping at Ambiko. Day 7: A full day trek to the peak of Ras Dashen (4620 m). It takes us about 11:00 hours up and dawn walk; this is most difficult day of the trip: Ras Dashen is the highest mountain peak in the country. O/ n camping at Ambiko. Day 8: From Ambiko we trek to Sona via Arkuaziye village. It will take us about 9:00 hours. Today, we are walking through farming fields in which people grow different crops. O/ n camping at Sona. Day 9: We descend into the lowlands and Mekarebia. There are some sharp steep sections down from Sona. There is a possibility of crossing Anzia River after three hours of descending. This is the most excellent birding sites of the trekking. O/ n camping at Mekarebia. Day 10: From Mekarebia we trek to Mulit for about 6:00 hours. This is another good day for birding as well as for swimming in the lagoon of Derek River. O/ n camping at Mulit. Day 11: Morning we walk to Adiarkay (about 3:00 hours) where we meet our vehicle. Then, we drive back to Gondar on the same day. O/ n hotel. Day 12: Fly back to Addis Ababa and shopping; then departure. Day 1: Arrival Addis Ababa and transfer to hotel; half city tour. O/ n hotel. Day 2: Drive to Bale mts national park and visit the diversified & endemism center. O/ n Lodge. Day 3: From Dinsho you will trek to Fincha Abbera falls. It is about 6:00 hours. O/ n camping at Fincha Abbera. Day 4: Trek from Fincha Abbera to Wassama via Meraro mts (3750m) for about 9 hours. There is a good chance of seeing a lot of birds including different birds of prey. O/ n camping at Wassama. Day 5: Trek from Wassama to Gebre Guracha Lake via Mount Batu (4307 m), the second highest peak in the Bale Mountain. We walk 9:00 hours. O/ n camping Gebre Guracha Lake. Day 6: Trek to mt. 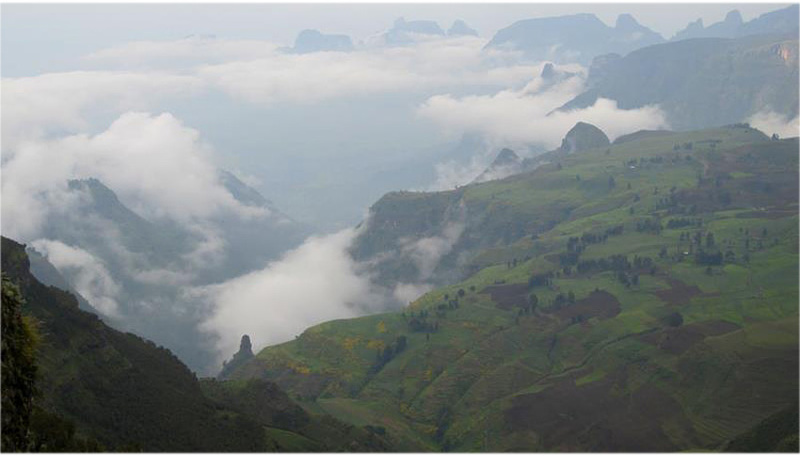 Tulu Dimitu (4,377m the 2nd highest peak in Ethiopia) via senattie plateaus and meet our vehicles, then drive to Goba. O/ n hotel. Day 7: Drive back to Addis Ababa and invited dinner at traditional restaurant.O/ n hotel. Day 1: Arrive Addis Ababa and transfer to hotel. O/ n hotel. Day 2: Drive to Bale en route visit the spectacular green land of the Arsi, and catch some great sights of scenery, birds and wild life.O/ n lodge. Day 3: Trek Dinsho to Geysay Valley back to Dinsho. O/ n Lodge or Camping. Day 4: Trek Dinsho to Wolla Valleys. O/ n Camping. Day 5: Trek Wolla Valleys to Wasama Valley. O/ n Camping. Day 6: Trek Wasama Valley to Mt. Batu – Garba Guracha Lake. O/ n Camping. 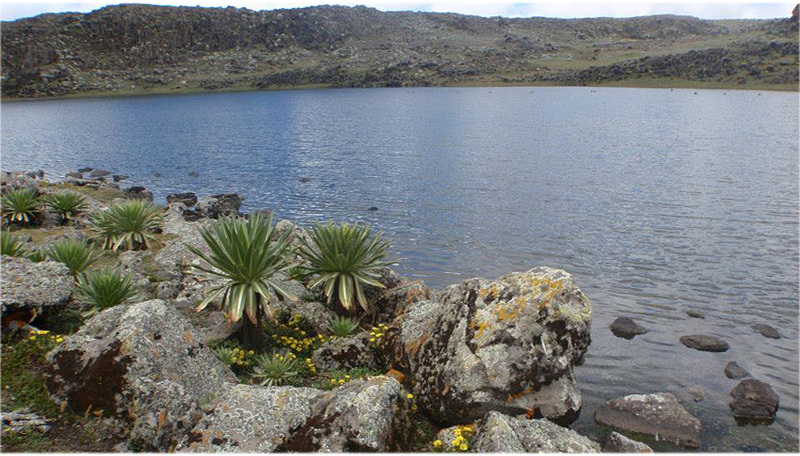 Day 7: Trek Garba Guracha Lake to Goba. O/ n hotel. Day 8:Drive Goba to Addis via rift valley lakes. O/ n hotel. Day 9 : ightseeing Tour of Addis; then Departure. Day 1: Arrive at Addis Ababa and city tour. O/ n hotel. Day 2: Drive to Bale mountains national park. O/ n hotel. 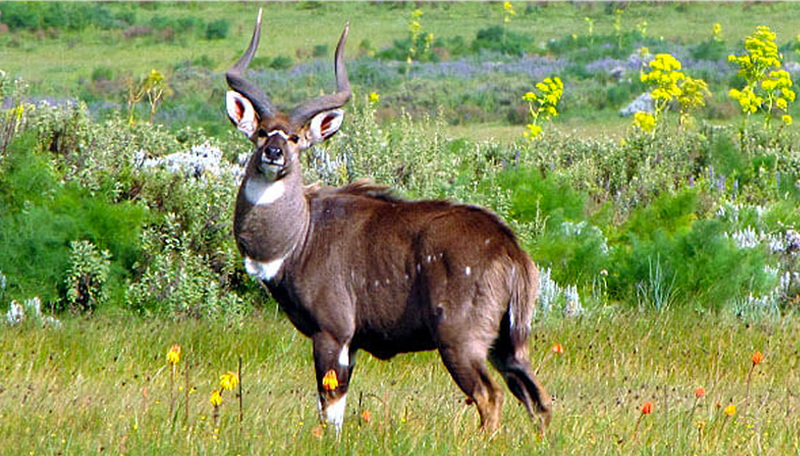 Day 3: Full day game viewing at the center of Endemism Park. O/ n hotel. Day 4: Drive to SOF Omer caves. O/ n hotel. Day 5: Drive back to Addis Ababa; shopping and night departure.